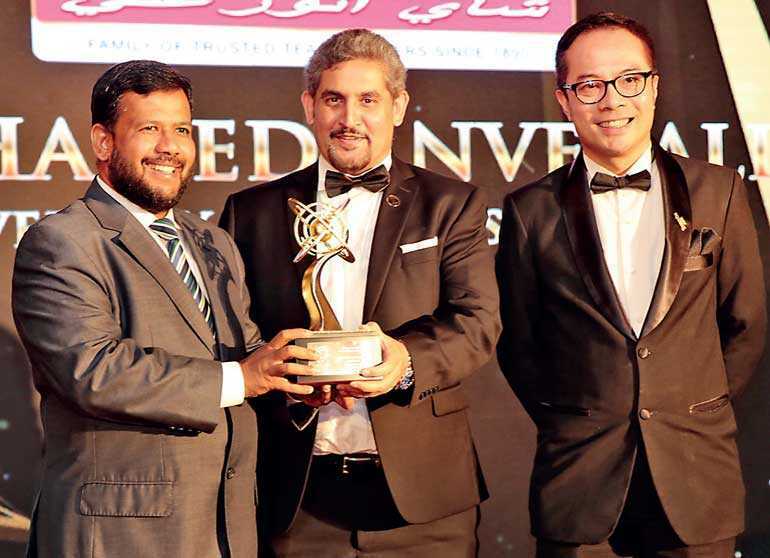 Anverally & Sons Ltd. Chairman Mohamed Anverally was selected as the winner at the prestigious Asia Pacific Entrepreneurship Awards 2018 (Food and Beverage sector) held at the Shangri La Hotel, Colombo recently. The event aims to recognise and honour individuals who have shown great entrepreneurship spirit in leading, growing and contributing to their organisations, communities and countries. The Asia Pacific Entrepreneurship Awards provides a platform for companies and governments to recognise and be recognised for entrepreneurial excellence, hence spurring greater innovation, fair practices and growth in entrepreneurship. As a regional award, the APEA group brings together leading entrepreneurs across the region as a powerful voice for entrepreneurs. Top business leaders and entrepreneurs have been awarded the prestigious Asia Pacific Entrepreneurship Awards since 2007 in Malaysia, Indonesia, Brunei, Singapore, Hong Kong, India and China. “It is truly an honour to be recognised with such a prestigious award such as the APEA. This award belongs to a much larger community of individuals – the Anverally Team. We are committed to innovating and expanding Anverally Tea’s global footprint catering to diverse tea consumers, while creating a collaborative and sustainable future for the industry,” expressed Mohamed Anverally. Established in 1890, the organisation is currently one of the largest tea exporters in the island. With a global presence in over 80 countries and growing, their tea selection ranges from black, green, herbal, iced, health and fruit teas in packing options of bulk, tea bags, packets, metal caddies, bottles, pouches and more, to suit all brewing styles.